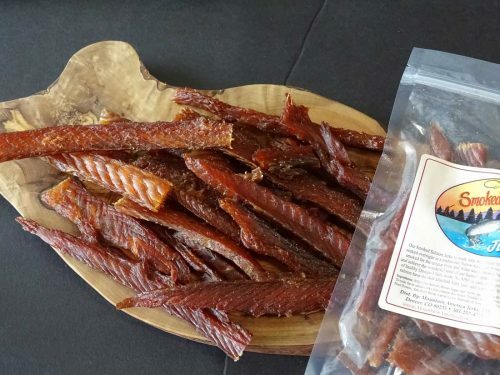 Without taking a trip to the Alaskan wild yourself, you may be wondering where to buy salmon jerky. Look no further. Using the finest Wild Alaskan King Salmon on the market, our Salmon Jerky is high in Omega 3 fatty acids. It is made with solid strips of fish, never minced, chopped or formed. Our unique overnight brining process is followed by a cold smoke (under 100 degrees) to lock in flavor and moisture. It is then finished with a hot smoke process (165 degrees) to ensure the salmon is fully cooked and the flavors are fused. 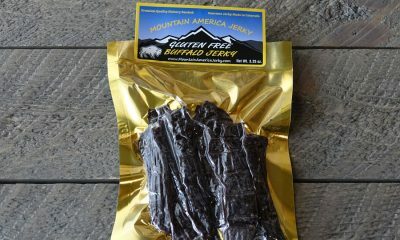 All of our jerky is thick cut, marinated, and smoked daily. It is preservative-free with no added MSG, nitrates, or other fillers. Buy our Original Salmon Jerky today and you’ll discover there is nothing finer on the market. 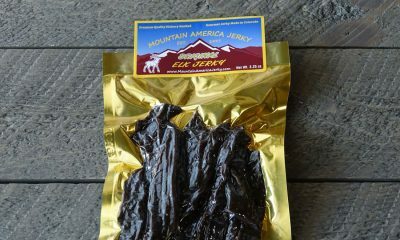 My husband absolutely loves this jerky! It is virtually sugar-free, so he can eat it without worrying about his blood sugar levels. Great taste, too. 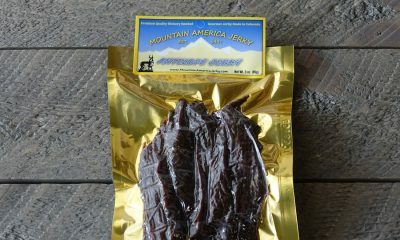 I’ve been ordering Mountain Jerky original Salmon jerky for several years. It is almost always delicious. This past Christmas it was dried out, but edible. The salmon jerky for Father’s Day was delicious. Damn good. Had to fight off the family so it didn’t disappear. Very tasty. A bit dry for my tastes but didn’t stop me from ordering again. Salmon jerky is great. Sometimes a little tough, but still real good. Best salmon jerky I’ve ever had. Great snack for hiking! Love your jerky. I used to eat fish jerky as A child and have searched for it ever since. Yours is the closest that came to what I remember. It is a delicious and healthy snack for all of the family. We love your jerky! We are both pescatarian and don’t eat any meat. It is so hard to find places that have fish jerky and are still trustworthy. We ordered your jerky once before and loved. It. Today we ordered more of our favorites. We appreciate all you do to make the tasty jerky! (Original Salmon review) I’ve been ordering almost everything from this company and not only are their products delicious and fresh but the service is phenomenal.